Need a place to work on your bike? 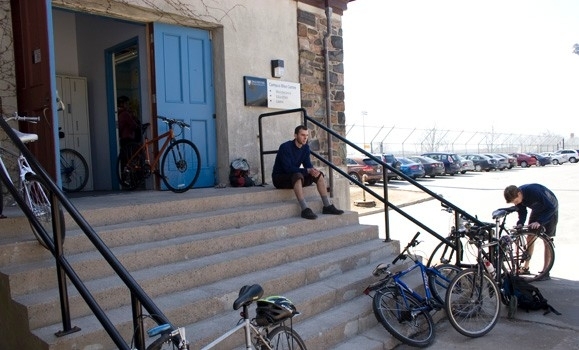 The Campus Bike Centre, located in the Studley Gym, offers drop-in sessions and classes in bicycle repair/maintenance and cycling safety education. Staff/volunteers work with bike owners to help locate and fix problems. You can't drop off a bike to be fixed. The Bike Centre is not a bike shop -- rather, it is a bike workshop.